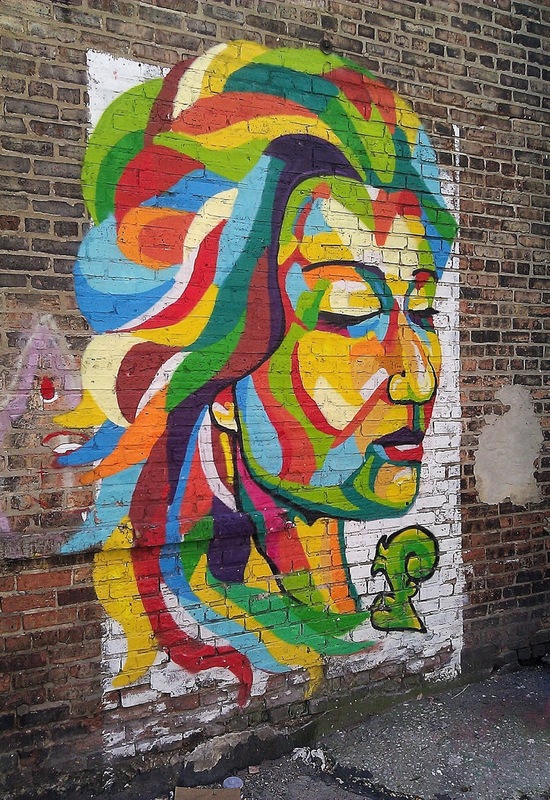 We are down in Chicago this week and staying in the Pilsen neighborhood. In the early 1900's this was the center of the Czech community in Chicago and today it is home to a vibrant Latino community. You can see that in the street art you can find nearly around every corner and this particular piece is one of the most beautiful I've found since starting this blog and documenting my graffiti/street art finds.